Travelling is wonderful in many ways. Seeing the world for yourself allows you to gain new perspective on things and allows you to learn more about other’s culture. 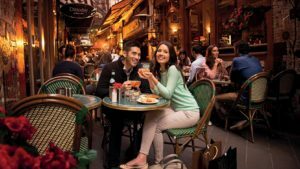 As a coffee lover, you’re probably curious to know how they enjoy their coffee, particularly if you’re in one of the best coffee cities in the world. Did you know that there are 31 different variations of coffee around the world? In your search for the perfect cup, many of you have probably tried lots of differing brewing methods. This week, we just made a list of the best coffee cities in the world. Given your love for coffee, we urge to you to make a trip to any of the 6 cities on the list. If you’re looking for a truly glorious java experience, these destinations could be your personal haven. Pack your bags. Your destination for your next vacation has just been narrowed down. 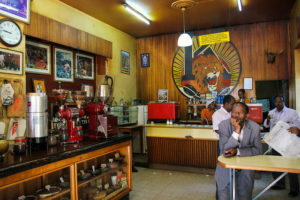 If you are considering embarking on a trip on the best coffee cities in the world, you may want to start with Ethiopia. Why? Because this is where it all started. Ethiopia is the birthplace of coffee bean. Up to these days, coffee remains to be a central part of the Ethiopian culture. Ethiopians rely on coffee for their livelihood. In fact, over 12 million individuals are involved in the cultivation and picking of coffee. Ethiopians are huge consumers of coffee. On average, they drink about 4 cups of coffee a day. While Ethiopia is considered as the number one producer of coffee, only 30% of it is exported. The other 70% is consumed locally. Your trip to this coffee capital will never be complete without café hopping, taking part of the ritualistic coffee ceremony or joining a coffee tour. Coffee lovers will feel right at home in this coffee city. 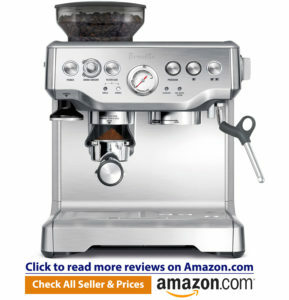 If you have a taste for thick, flavorful coffee, then this one’s for you. Turkish coffee is known for having a strong, distinctive taste. Here, black, sweet coffee is the name of the game. They would grind the beans into a fine meal and then boil them. The coffee is served with fine grounds still in it, and is often sweetened with sugar. 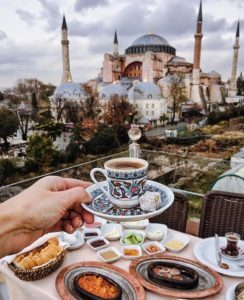 Unlike other coffee cities on the list, you won’t find a lot of cafes in Turkey. Rather, you’ll be inundated with street vendors offering the famous Turkish coffee. Coffee is such an integral part of the Australian lifestyle. Melbourne’s brimming café culture fosters a vibrant coffee community. What’s interesting about the coffee shops here is that they each have their own vibe and character. There is no specific template for a Melbourne café. They also host a coffee expo every year, where coffee enthusiasts get to experience everything the specialty coffee industry has to offer. Being the birthplace of drinks like café lattes and cappuccinos, this coffee city deserves a spot on our list. In Rome, drinking coffee is a part of everyone’s day. In fact, drinking coffee is as habitual as drinking water. Italians take a break during the day to eat lunch and relax. They sip their espresso at the bar. You won’t see anyone rushing around carrying to-go coffee cups. For them, meals and coffee are unhurried and should be consumed at the table. 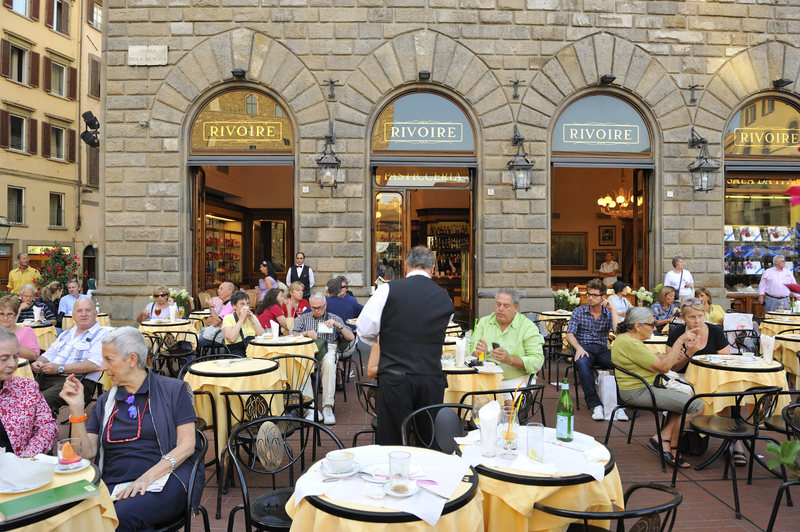 When in Rome, make sure to drink your coffee the way locals do. Drink cappuccino and café latte in the morning and never after a meal. They believe that milk disrupts digestion, and should never be consumed after a meal. 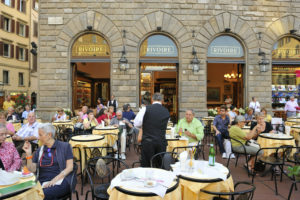 An espresso is usually consumed after meals, and caffe correto later in the evening to wind down for the night. With the Italian’s passion for coffee, it’s no surprise that it is considered as one of the best coffee cities in the world. These days, you can get a great cup of coffee almost anywhere in the country. But if we are to name the best coffee cities in America, Seattle would definitely be on top of the list. You’re going to have a difficult time finding any city in the country that is steeped in as much coffee history as Seattle. The city claims to have more coffee shops than any other city in the United States. Let’s not forget that this coffee city is the birthplace of the coffee giant, Starbucks. 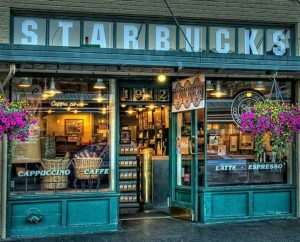 Despite the increasingly number of local coffee shops in the country, most American coffee drinkers would think of Starbucks when in need of a caffeine fix. 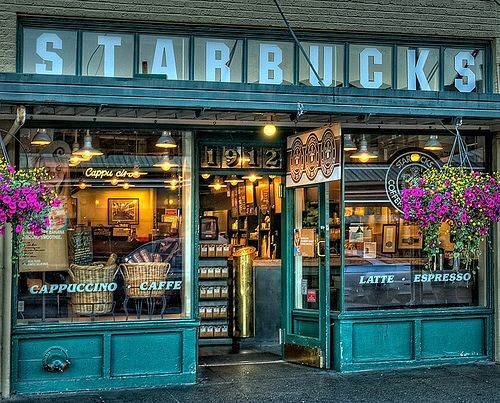 The original Starbucks is still located in Pike Place, and there’s always a line outside. Just a few kilometres away from the oldest operating Starbucks in the city, you’ll find a Starbucks Reserve Roastery and Tasting Room. Vietnam is the second largest producer of coffee in the world. Coffee is a huge part of daily life in this coffee city. Here, drinking coffee is a sit-down experience. It cannot be rushed. 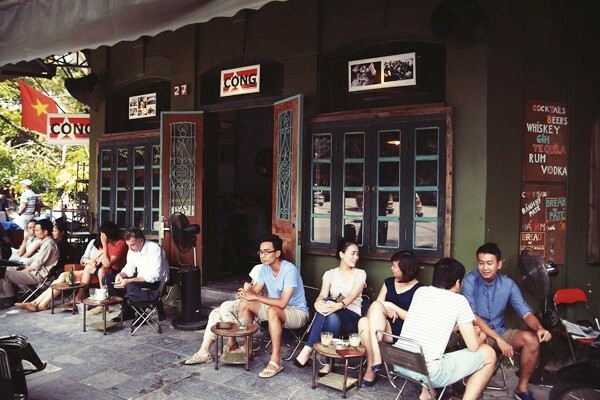 The French were the ones who introduced coffee to the Vietnamese, yet the Vietnamese turned it into a drink of their own. Vietnamese coffee became popular because of the way it is served. Here, the coffee is so strong and bitter. Sweetened condensed milk is added to counter the incredibly strong, dark roast. Whether you want your coffee served hot or cold, it will come with sweetened condensed milk. It may seem weird, but it hits all the right notes.